One of my favorite shots of all I've taken. 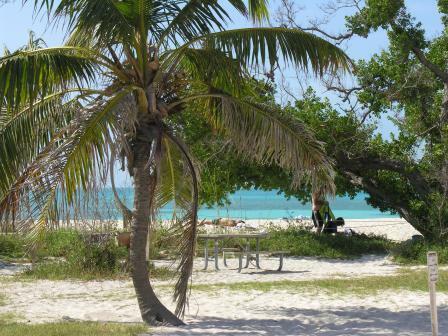 The chain of the Florida Keys doesn't end in Key West as commonly believed. 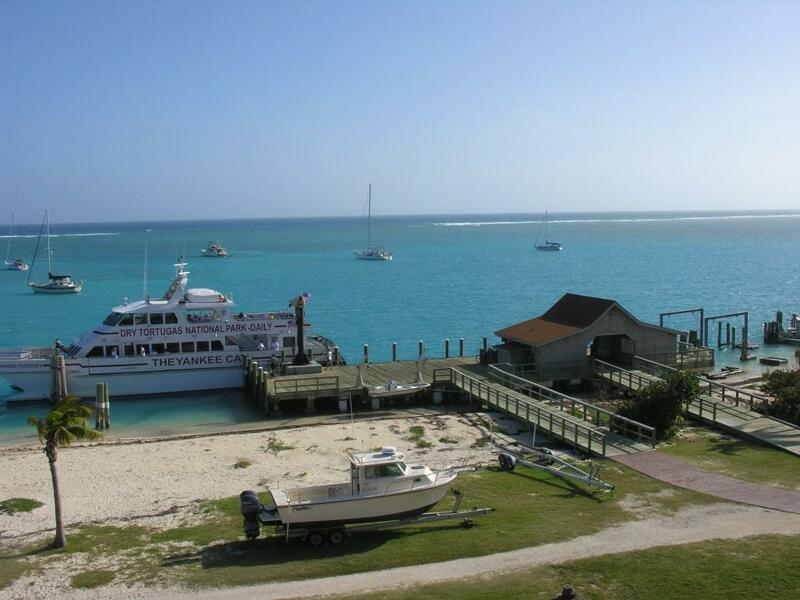 The Keys continue for another 70 miles west. 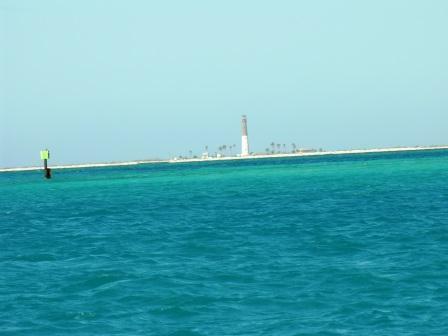 The very end of the Keys are the beautiful islands named the Las Tortugas "The Turtles" by Spaniard Ponce De Leon in 1513. 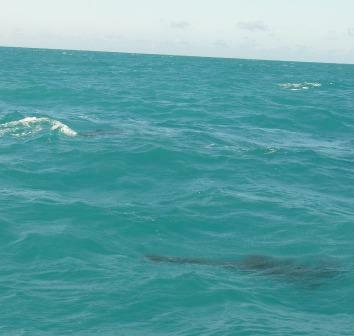 A plethora of sea turtles there made the name fit perfectly. 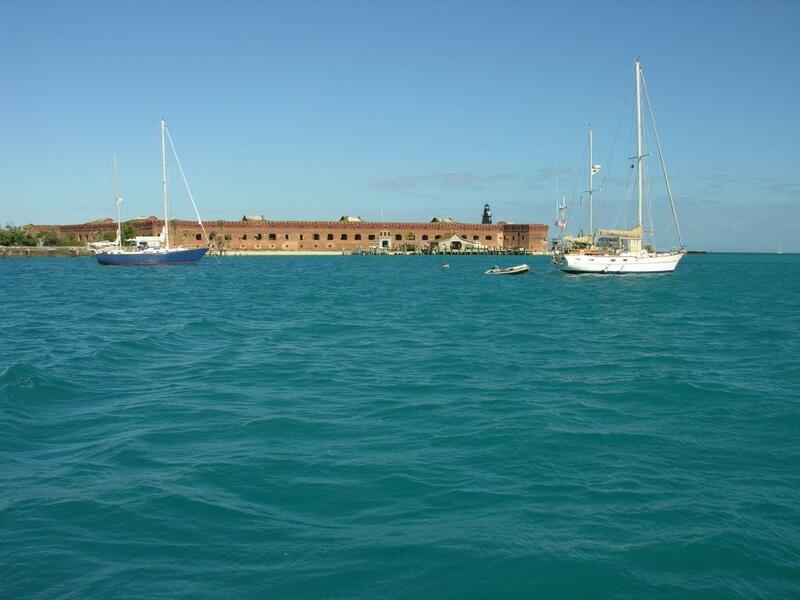 The word "Dry" was added to charts as a notice to mariners that the Dry Tortugas has no fresh water. 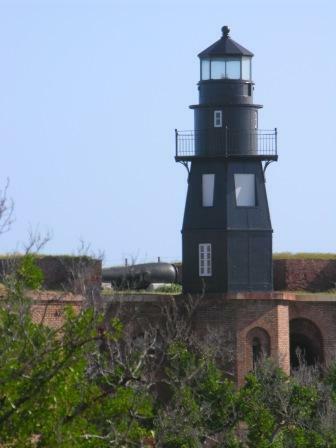 The first construction on Garden Key, in 1825, was a lighthouse to warn sailors of rocky shoals. 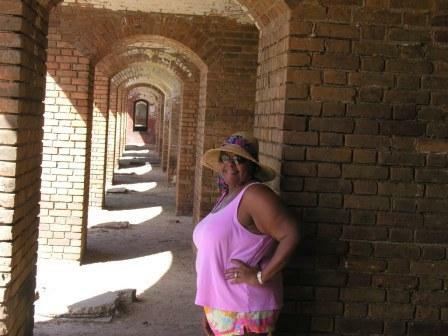 Fort Jefferson, the largest brick building in the western hemisphere: After the war of 1812 the United Sates of America began construction of a chain of coastal defense forts stretching from Maine to Texas. 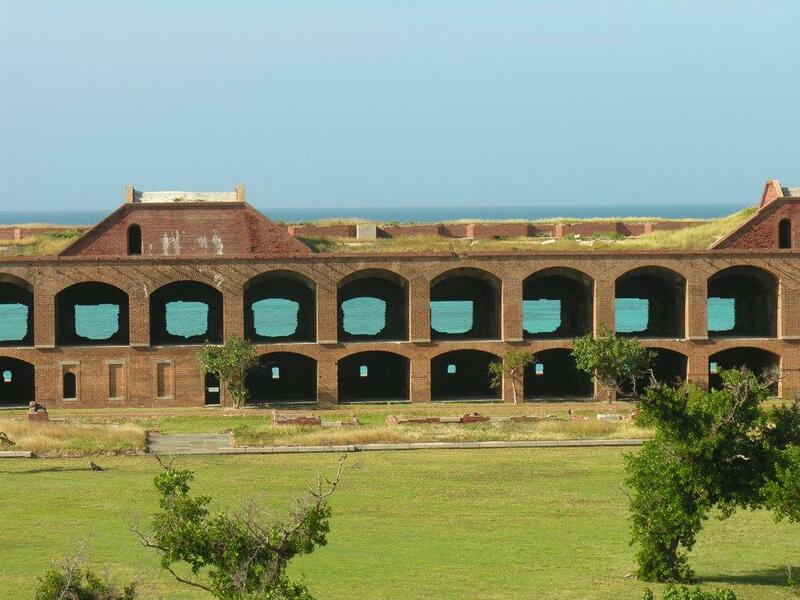 Construction of Fort Jefferson began in 1846. 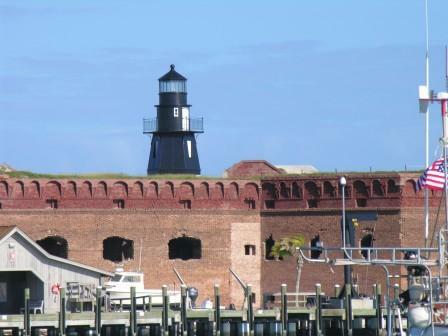 The United States knew it could control navigation to the Gulf of Mexico and protect Atlantic bound Mississippi River trade by fortifying the Tortugas. 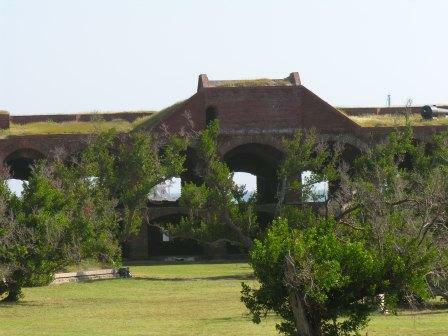 Construction continued for over 30 years but the Fort, which covers 11 of the key’s 16 acres, was never finished. 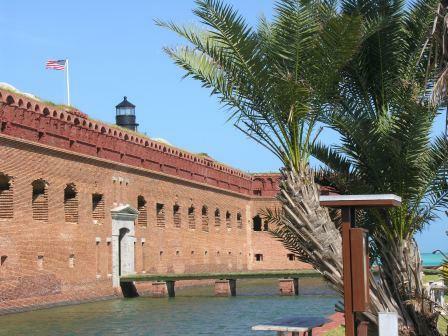 During the Civil War the fort was a military prison for captured deserters. It also held the 4 men convicted of complicity in President Abraham Lincoln’s assassination in 1865, the most famous being Dr. Samuel Mudd. 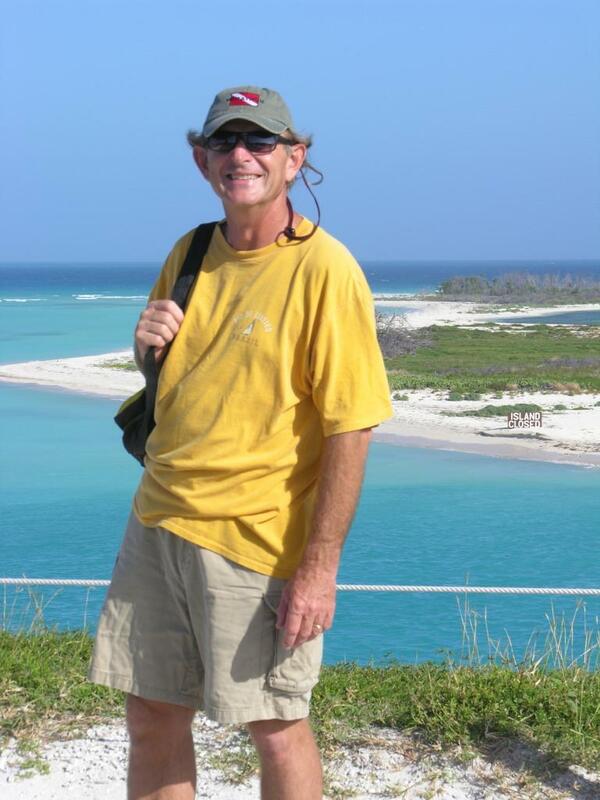 Some believe Dr. Mudd was innocent and guilty only of setting a man's leg. 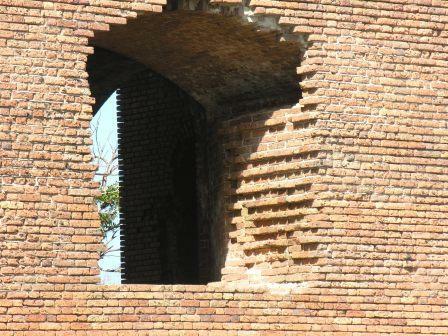 The man happened to be the assassin John Wilkes Booth. 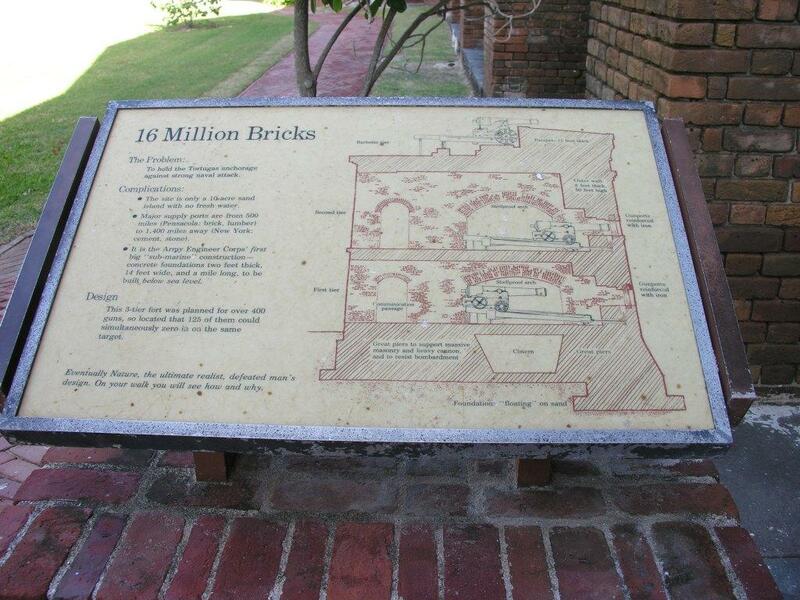 Dr. Mudd became the doctor at Fort Jefferson when Yellow Fever epidemics killed many, including the doctor. 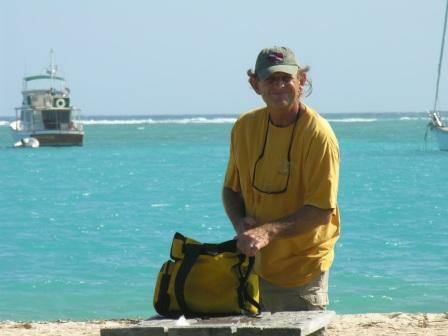 Dr. Mudd stepped in and saved many lives. 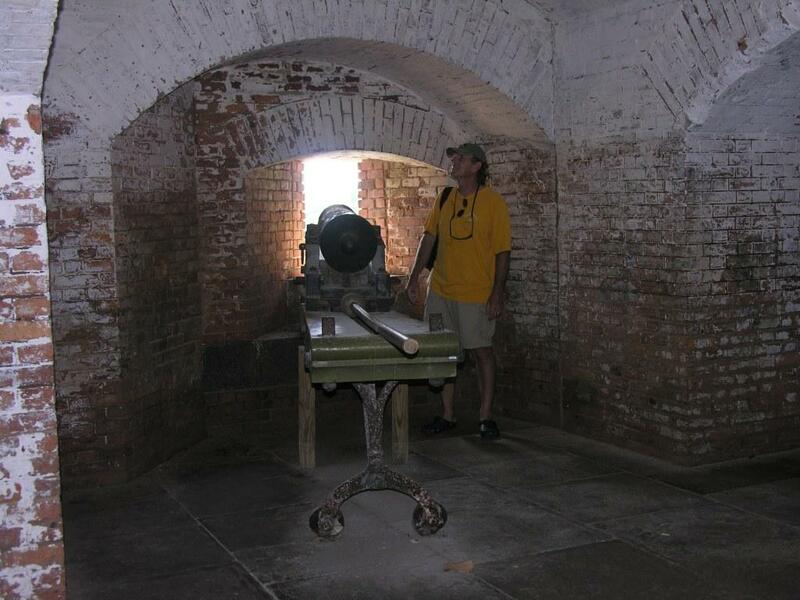 The invention of the rifled cannon made the Fort obsolete, as its thick walls could now be penetrated. 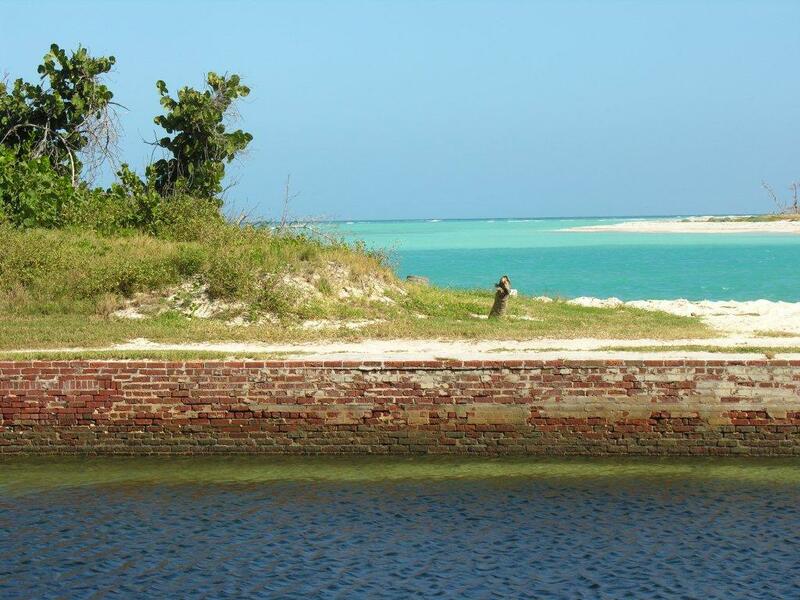 The Army finally abandoned Fort Jefferson in 1874. 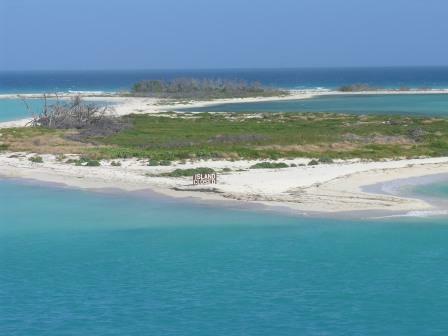 In 1908 the area became a wildlife refuge to protect nesting birds from egg collectors. 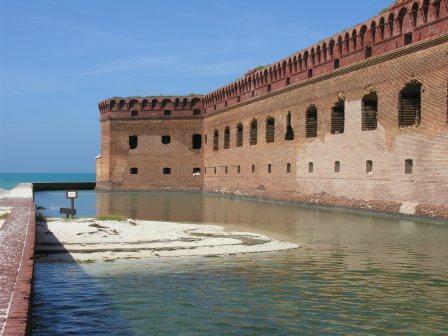 In 1935 Fort Jefferson was proclaimed as a National Monument but it was not until 1992 that Dry Tortugas reached its current status as a National Park. 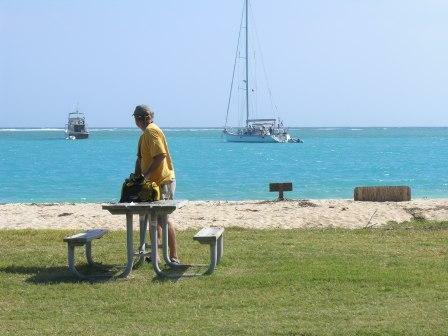 Today the park is staffed by a team of about a dozen park rangers. 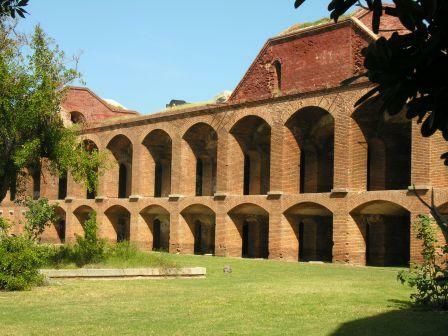 They live year round in accommodations built into the casemates of the fort. 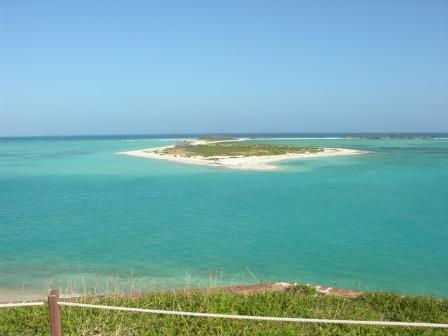 It is an isolated duty and many do not stay more than a couple of years. 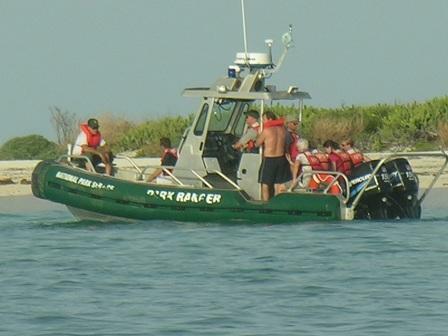 Their jobs include law enforcement, maintenance and basic support and protection, above and below the water, of the 100 square mile park. 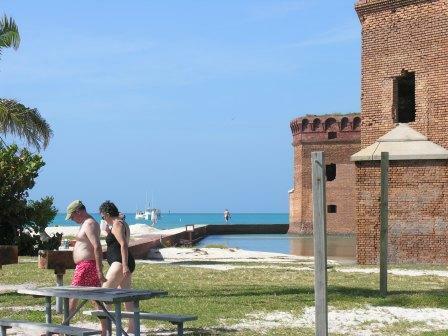 There is a self guided tour of the Fort set up by the National Park Service. Wow! 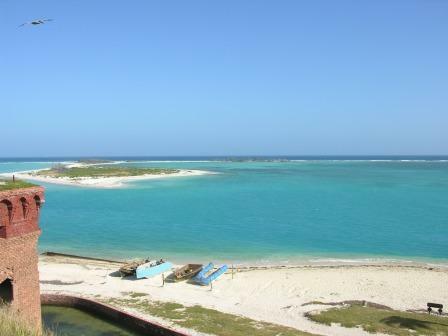 What a view from atop the Fort. 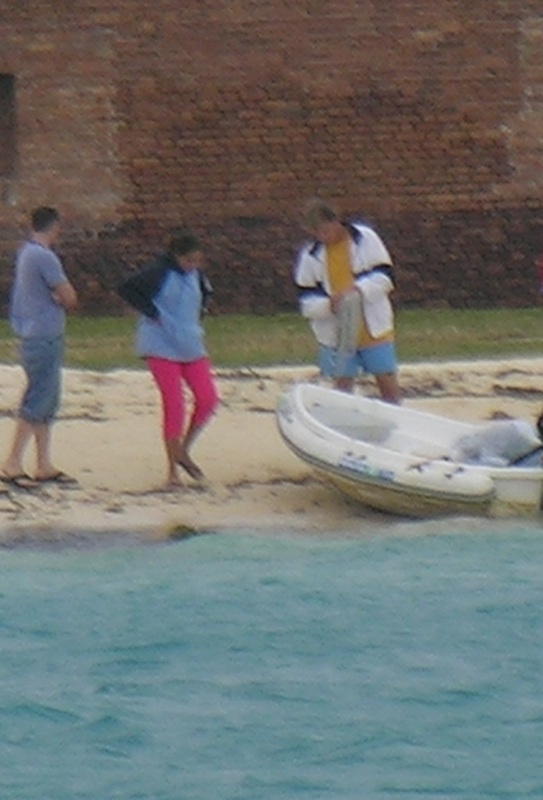 One of the seaplanes which flies in and out of Fort Jefferson was a bit too heavy for and abruptly aborted his takeoff. 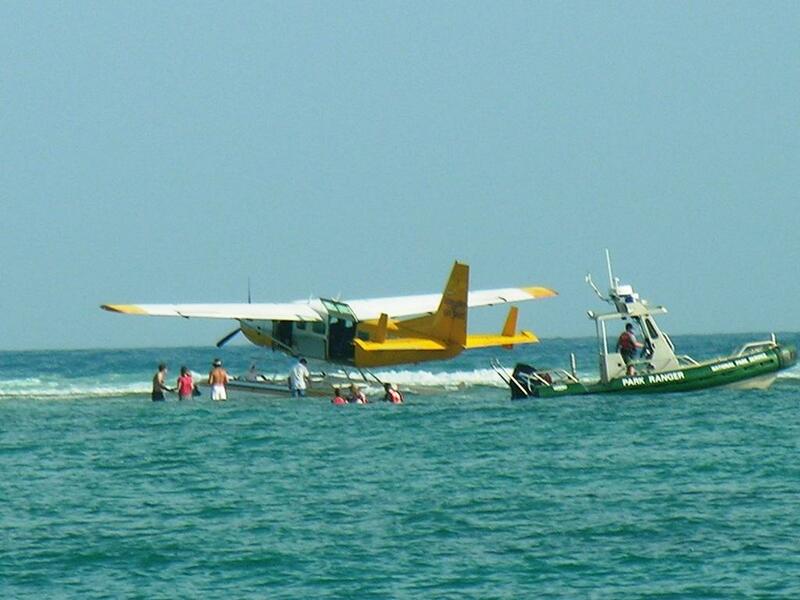 The seaplane tipped its wings left and right as it went down. 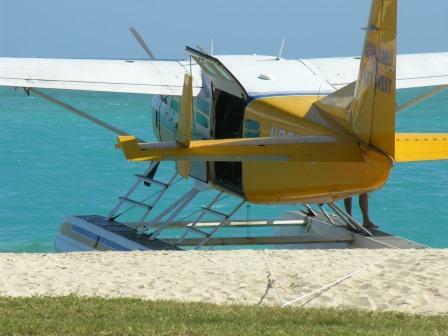 He most fortunately landed on a sand bar. 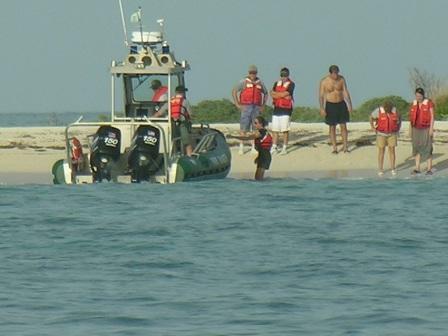 It was obvious the pilot deliberately tried to land on the sandbar, the safest place for his passengers to be rescued. What an excellent pilot indeed! 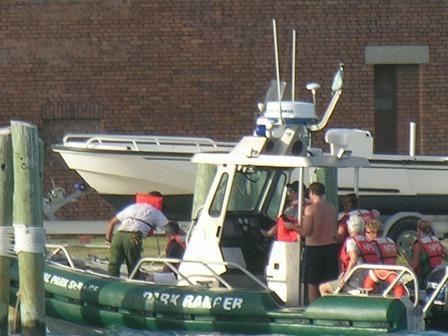 The following are pictures I took while watching the passengers walk along the sand bar to an awaiting National Park Service vessel for rescue. 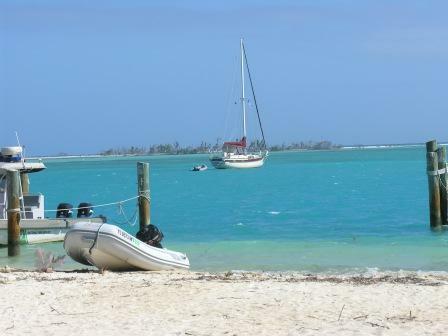 The seas were very rough along the sand bar. One woman had a baby in her arms. 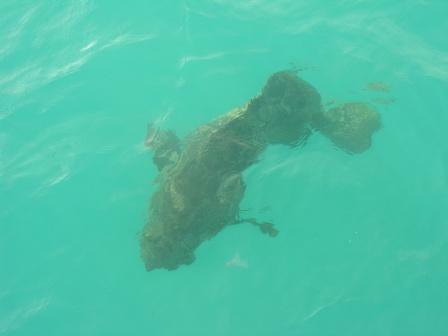 Bill and I both watched anxiously... not breathing easily until the last passenger was safely back on land. 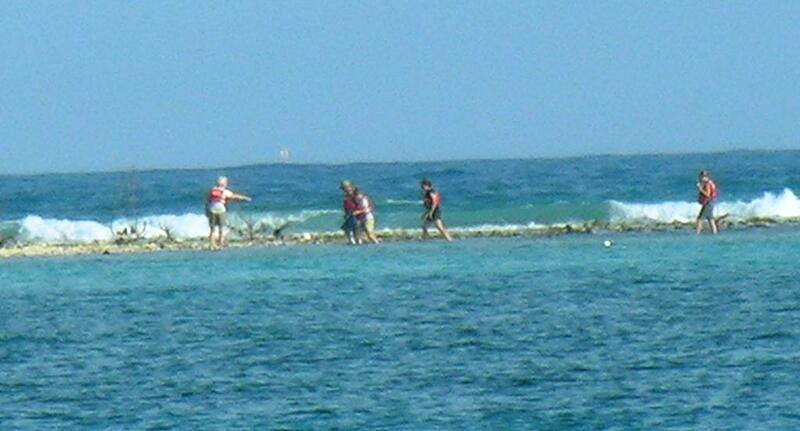 Passengers walked west on the sandbar to Bush Key for rescue. 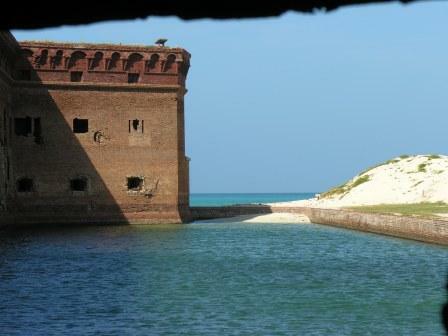 All seaplane passengers back to Fort Jefferson safely. 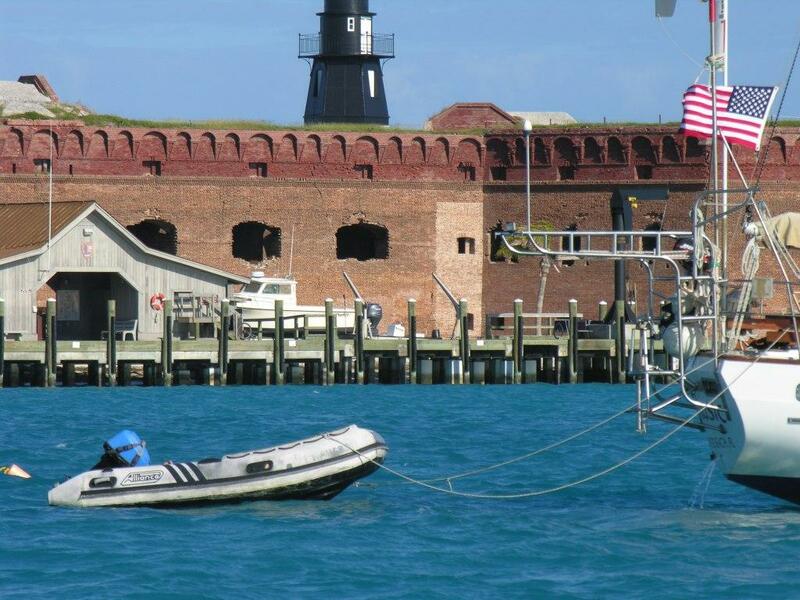 The seaplane slides back to Fort Jefferson. 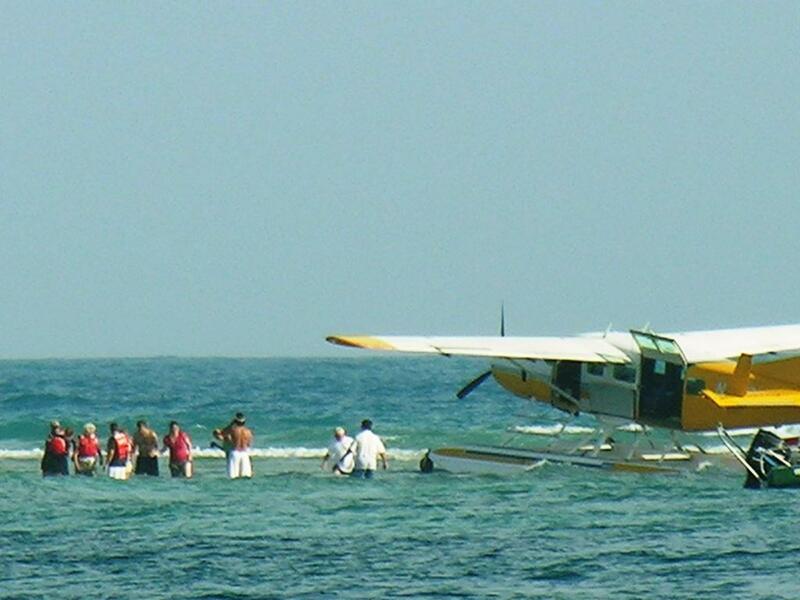 The plane was unharmed and its passengers were later divided and put on two seaplanes. Both seaplanes lifted into the air beautifully and flew out of the Dry Tortugas and back to Key West. Can you hear the echoes of the past? I sure did. It was a tad creepy at times in there. 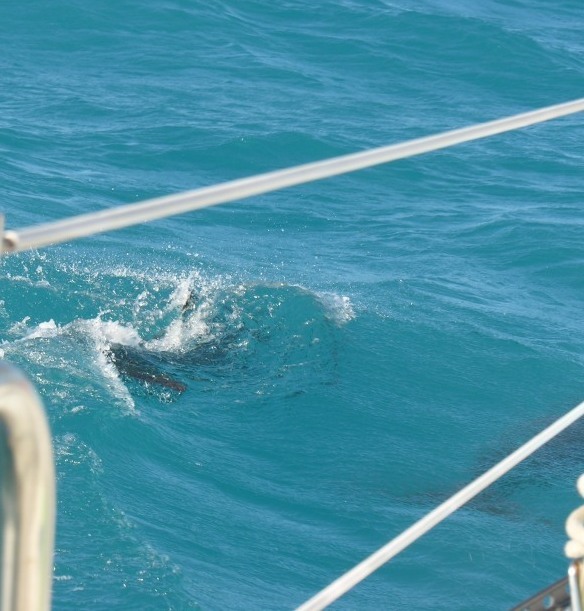 We love our Walker Bay RIB 10 footer. "Sea Biscuit" we call her. 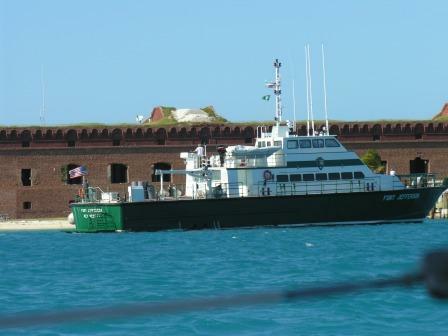 The supply boat for Ft. Jefferson. 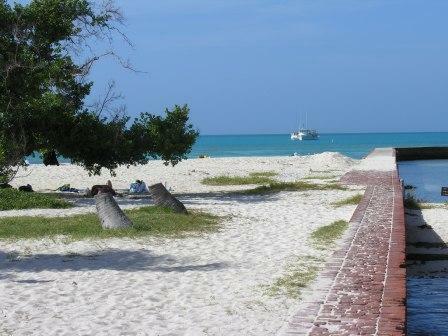 All 110 ft. of it! 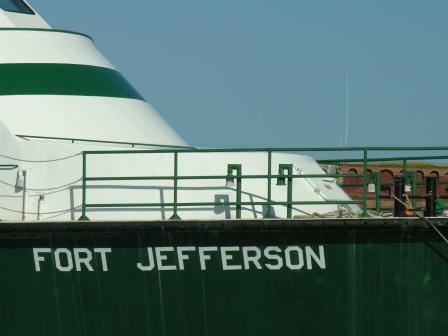 Seaplane berthed at Ft. Jefferson, as normal, awaiting next excursion. 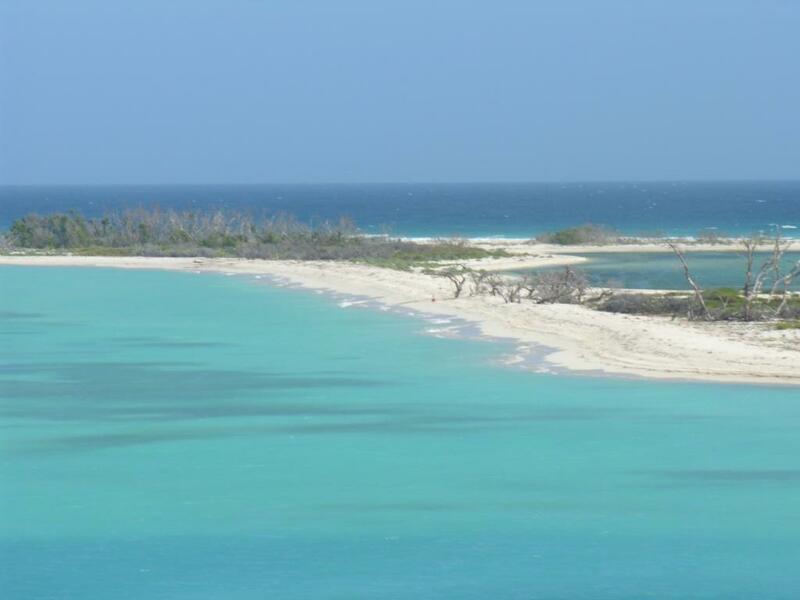 Some of which looked like they could have never made it to here.
" 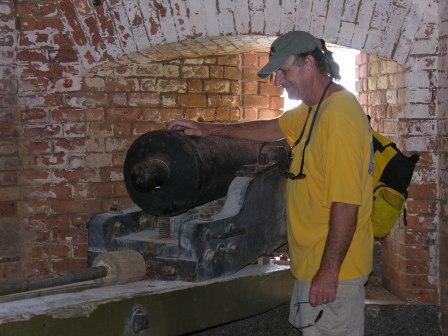 Oh no... Uncle Bill, not the cannon ! " Super Duper long shot... glad I got them when they just arrived. 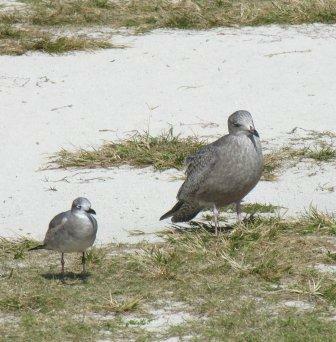 I need a telescopic lens! Daughter Breighan and her boyfriend Ryan Carter. 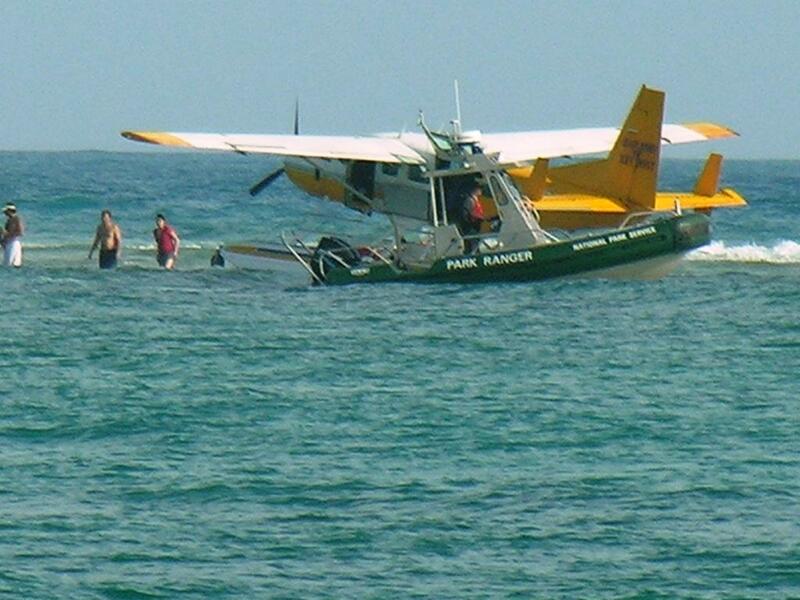 They flew into Miami then drove to Key West. 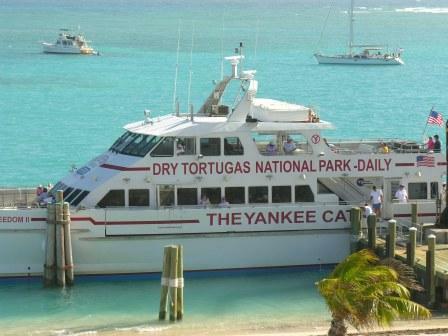 After a night on the town in Key West they took the Fast Cat out to the Dry Tortugas to meet us. 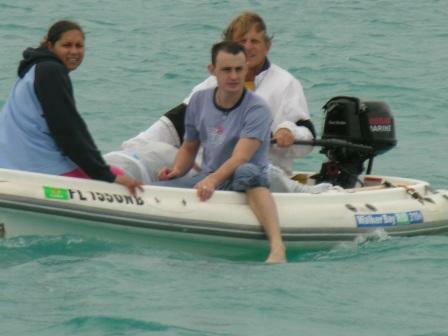 They said they were of a handful who didn't need a throw up bag on the catamaran. 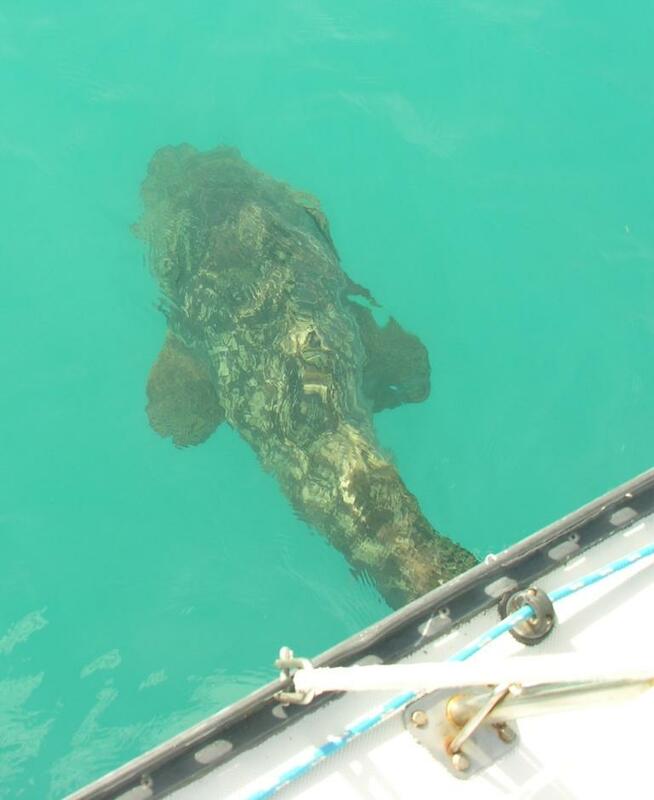 Goliath Grouper aka Jewfish. There were five that hung around. Each were over 300 lbs. 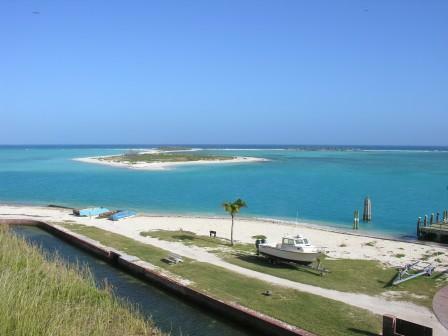 The anchorage at Garden Key, Dry Tortugas. I've learned the value of "Collector's Hold Museum Putty." This stuff really works. It looks like white silly putty and truly holds things in place -- even under the worst of conditions. One ball can secure an object weighing up to 40 lbs. 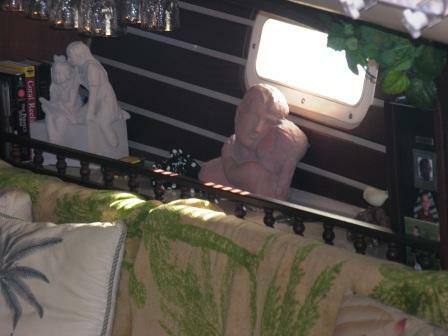 Now my statues and flower vases stay put even when we're severely heeled. 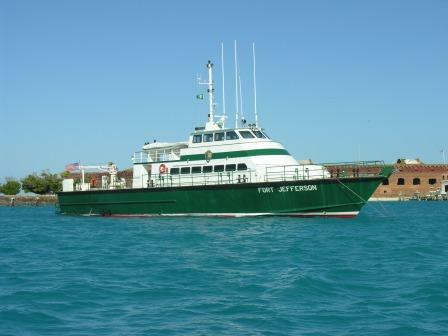 We encountered very rough seas on our return trip from the Dry Tortugas (33 knots and 6-9 ft. seas for nearly 24 hours)... not one thing (seen below) moved from its place! Everything you see stays put. 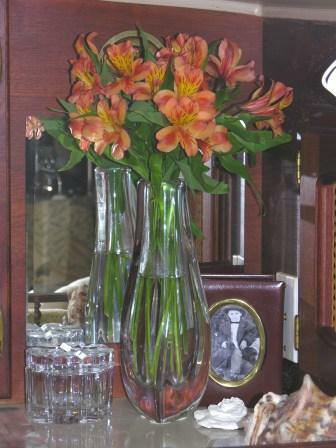 Yes, even the water in the vases does not come out! If you look closely, you'll see white putty beneath each item. I try to do it discretely. You make little balls out of the putty and warm it up in your hands. Then place the balls beneath the object (as you hold the object upside down). Now gently sit the object where you want it and twist it a bit. 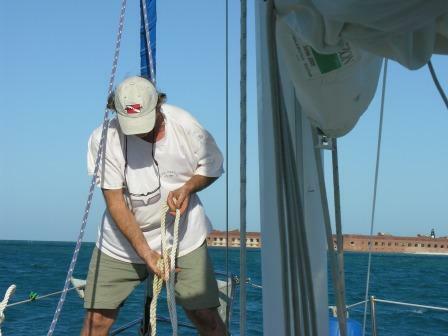 The putty will make a suction between it and the item as well as on the surface where the item was placed. You cannot pick the item unless you once again give the item a good twist. Then it comes up perfectly. The putty can be used again and again. 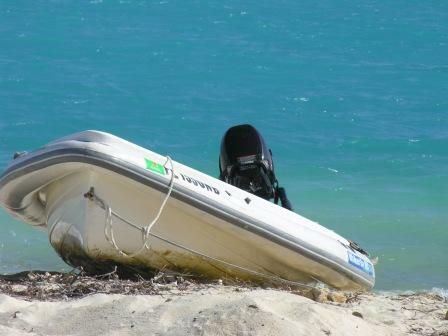 After it's used it flattens. Simply take it up and roll it again! It is a fantastic product developed for use in museums around the world to protect valuable and even priceless objects from earthquake damage. It is also a theft deterrent. Thank you Museum Putty! 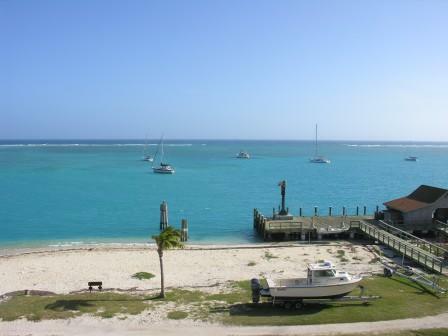 It is so much fun to simply let things be the way they are and take off on a sail. I'm free at last!! Thank you so very much... Collector's Hold Museum Putty! from either the Palm Springs Art Museum or Details Art. 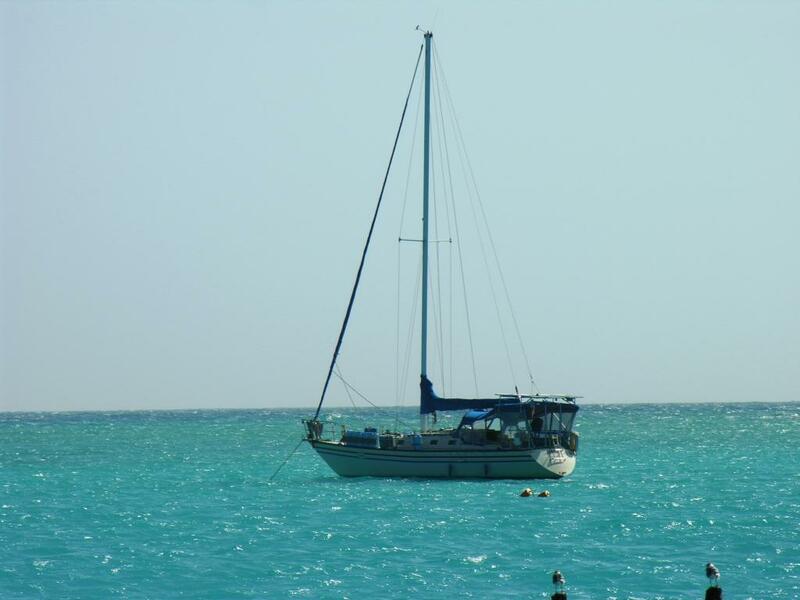 I love it that when we're traveling our boat is not in disarray. 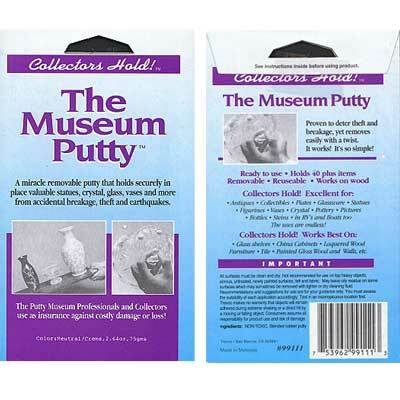 Museum Putty keeps my vases, statues, and knickknacks in place. 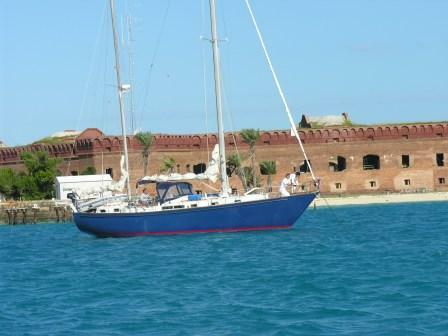 Our sail to the Dry Tortugas was a fabulous one. 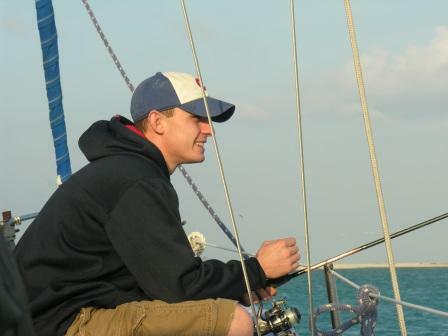 Lots of wind and heeling and not one thing out of place. Thank you Museum Putty!! Works like a miracle. A extremely impressive product. 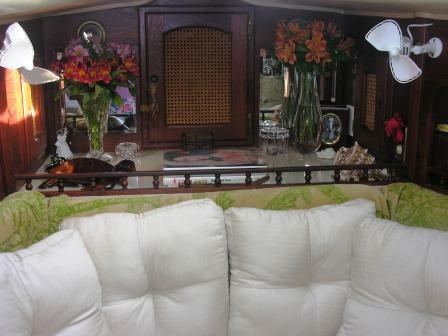 Note my crystal wine goblets hanging upside down (below). The Rock 'n Roll Wine Rack is also product that works as advertised. 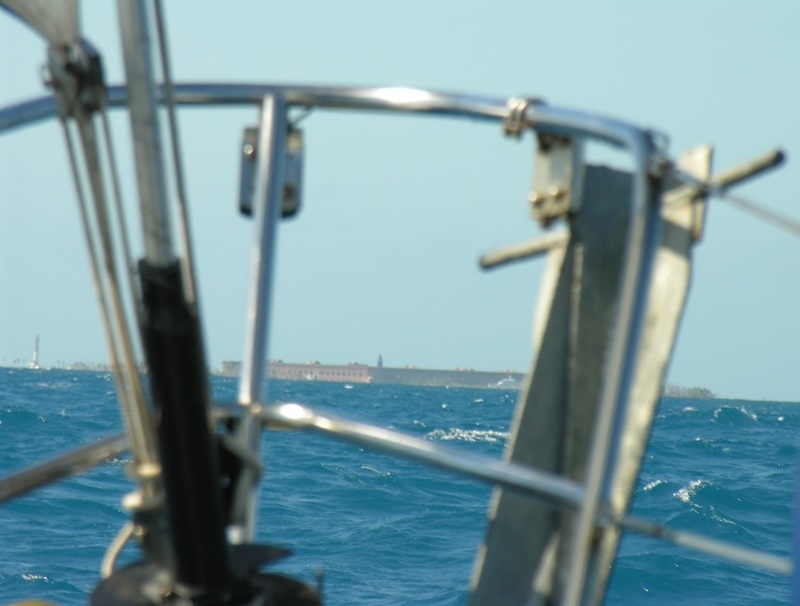 The goblets do not move at all even in high seas and severe heeling. 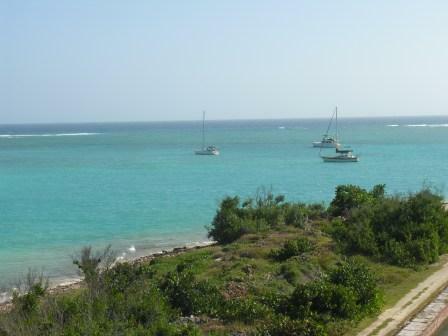 Sweet S/V September Sea sails like a dream and keeps her crew comfy.